Who needs Santa when I have Grandpa! How adorable is this Christmas sweater? Get your kid this cute and cozy holiday sweatshirt to wear on Christmas day. It's going to make Grandpas heart melt! 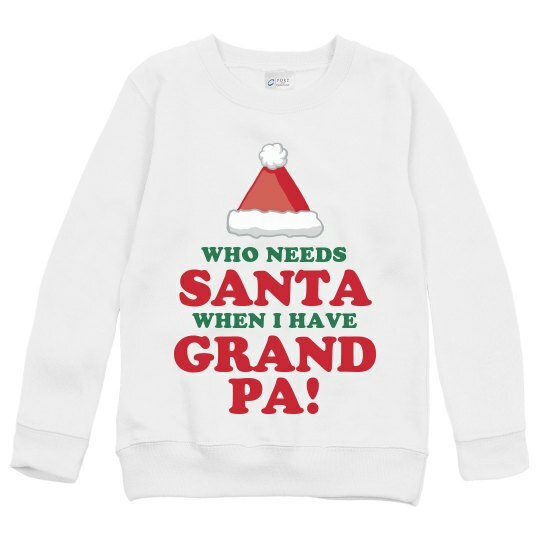 Custom Text: WHO NEEDS | WHEN I HAVE | SANTA | GRAND | PA!